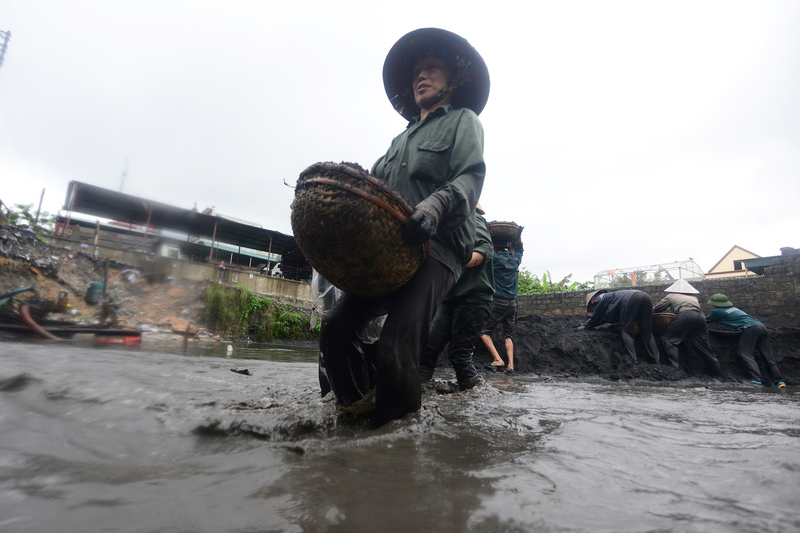 Toxic sludge that spilled out of open pit coal mines during 10 days of heavy rains may have seriously contaminated farmland, rivers and coastal areas in northern Vietnam. Flooding has killed 30 people, wiped out roads and damaged thousands of homes, the United Nations said in a situation report on Wednesday. The UN also warned of potential risks to the environment, health and water sanitation after coal mines in Quang Ninh province flooded, spilling thick streams of dark sludge into the countryside. 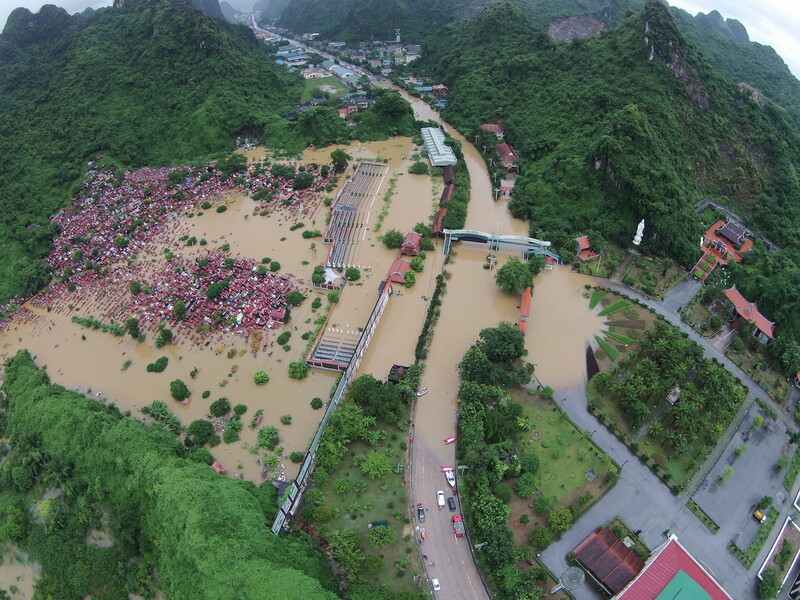 While flooding damaged water supply systems across northern Vietnam, where people now lack clean drinking water, the situation in Quang Ninh is the worst by far due to the toxic floods, said Truong Manh Tien, chairman of the Vietnam Association of Economy and Environment, a Hanoi-based nongovernmental organization. “Water supplies contaminated with coal mud, chemical and other substances cannot be purified in a simple manner,” he told IRIN on Thursday. Tien said authorities are prioritising clean-up efforts as contaminated floodwater is also threatening farmland and fish stocks downstream. He added that there is a risk that huge amounts of coal mud and chemicals will soon be pouring into Ha Long Bay. A World Heritage Site, Ha Long Bay is one of Vietnam’s most popular tourist destinations, with craggy limestone islands towering over emerald green waters in the Tonkin Gulf. Government officials and relief agencies have warned that the area could be seriously contaminated. Dang Huy Hau, vice chairman of the People's Committee of Quang Ninh, which governs the province, told the state-run Thanh Nien newspaper that coal dust and mud has polluted many rivers and streams running into the bay. “There are increasing concerns regarding environmental issues due to the sludge of coal mines in Quang Ninh, particularly the future risk to the Ha Long Bay,” said the UN report. Rivers of slurry also destroyed and damaged homes homes in populated areas of the province, according to the UN. After a dam broke on 30 July, sludge flowed into the city of Cam Pha, where some residents waded into the polluted waters to collect coal. Coal companies, including the state-owned Vietnam National Coal and Mineral Industries Corp (Vinacomin), which operates mainly in Quang Ninh, rushed to pump water out of their mines. “Vinacomin is stepping up efforts to overcome consequences so as to revive coal production fully soon,” Nguyen Ngoc Co, the company’s deputy general director, told IRIN. As of Thursday, Vinacomin had resumed half its production in the province, he said. Co declined to comment on what actions his company would take to clean up the toxic slurry flowing out of the mines. Toxic waste has also escaped from three flooded coal-fired power plants, according to Waterkeeper Alliance, an environmental organisation based in New York. It was “encouraging” that the government had deployed a disaster response team, the organisation said in a statement issued from Quang Ninh on 1 August. But the group warned of the “likelihood of both immediate and ongoing health and environmental hazards” from chemicals - including arsenic, cadmium and lead - that have emanated from flooded mines and power plants. Weeks of heavy rain have brought flooding and devastation to countries across Asia. In Myanmar, flooding has killed more than 88 people and inundated more than 1 million acres of farmland, posing a risk to food security, according to the UN. Flooding in Pakistan has killed 169 people and affected almost one million, the National Disaster Management Authority said. Flood-related deaths have also been reported in India, Bangladesh and Nepal.